In want of a wonderful Windows 8.1 password recovery tool to crack your forgotten or lost Windows 8.1 password? Forgetting password is never any funny. 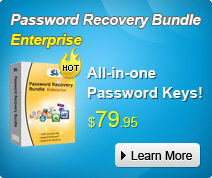 Once you lost your Windows password, you will be locked out of the Windows operating system and the files stored in the computer, which can totally make you break out with a sweat. However, you'll be introduced the effective Windows 8.1 password recovery utility for you to reset the forgotten password with great ease, yet Windows Password Recovery is recommended as the best one. There is no doubt that Windows 8.1 password reset disk is the first Windows password reset solution. If you have created a password reset disk when you still remember your Windows 8.1 password, you can use it to recover your Windows 8.1 login password with easy steps as following. If you have none, just skip this solution and keep reading. Step 1. Insert the password reset disk into your locked Windows 8.1 computer. Step 2. When you input the incorrect password in Windows logon screen, the "Reset Password" option will pop up, click it. Step 3. 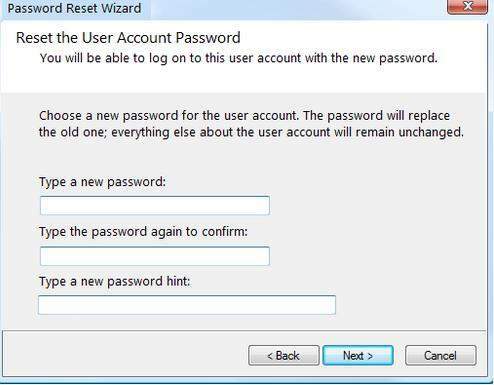 Follow steps in "Password Reset Wizard" to reset Windows 8.1 forgotten password. Provided that you can access your Windows 8.1 computer with another admin password, you can use this free Windows 8.1 password recovery alternative to reset password to login Windows 8.1 from the command prompt. If you are the only user on your Windows 8.1 computer, keep reading and turn to Windows Password Recovery for help. Step 1. 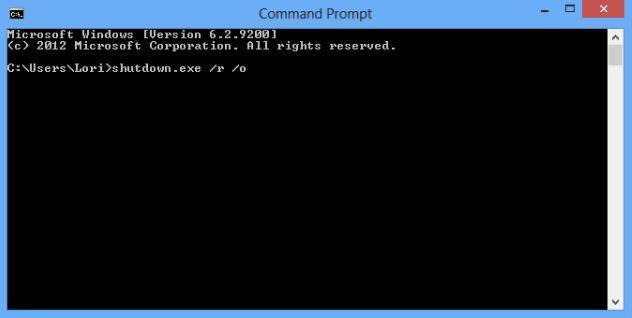 Press "Win Key+R" and type "cmd" in the "Run" command box and hit enter to open command prompt. Step 2. Type the command "net user UserName NewPassword", in the command prompt and hit "Enter". If you want to remove this password, just replace NewPassword with *. If you failed to reset your Windows 8.1 password with the two methods we introduced above, you can apply for Windows Password Recovery, which is a Windows 8.1 password recovery tool ultimate. It can crack the password you lost for any reason within 4 steps. Go through the instruction as below to achieve it. Step 1. 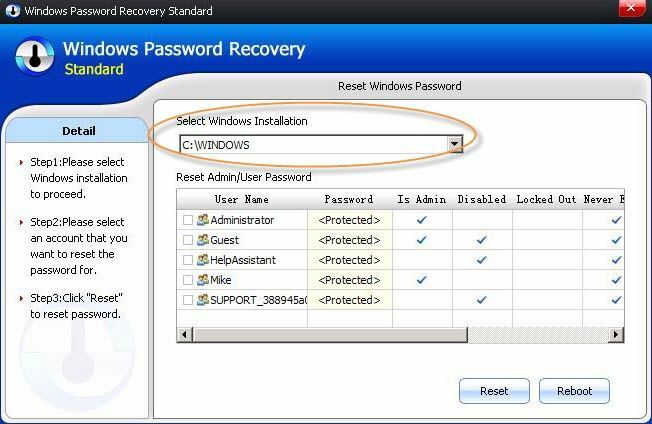 Download and install Windows Password Recovery on an accessible PC. Step 2. 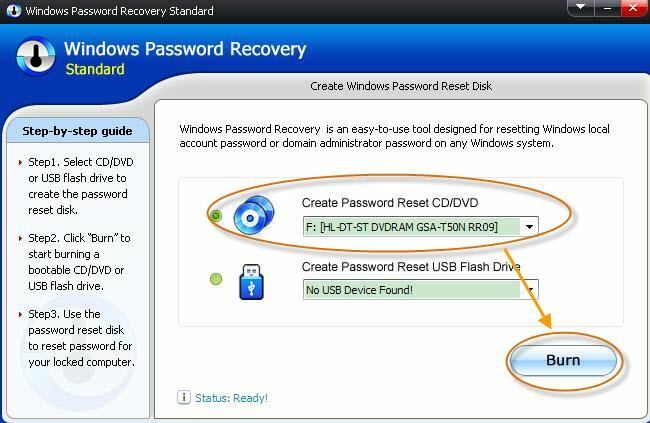 Burn this Windows 8.1 password recovery freeware to a bootable CD/DVD or USB flash drive. Step 3. Insert newly created CD/DVD/USB drive to the locked Windows 8.1 computer. Set BIOS to boot from the Windows 8.1 password recovery USB or disk. Step 4. Reset Windows 8.1 login password. Eventually, you crack the lost Windows 8.1 password with the suitable Windows 8.1 password recovery tool. You have regained the access to your Windows 8.1 computer already. Just do whatever you like on it.